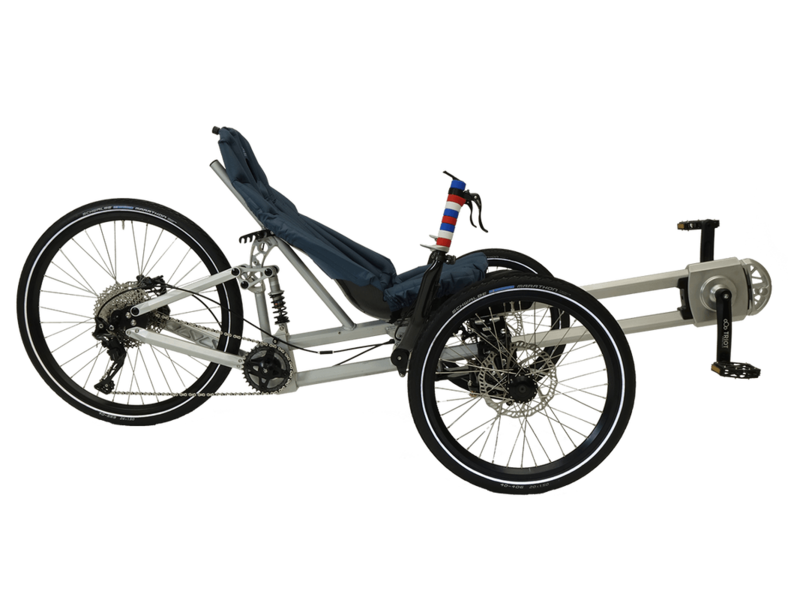 Fun and nimble trike with full-suspension, hydraulic disc brakes, and 11-speed derailleur. 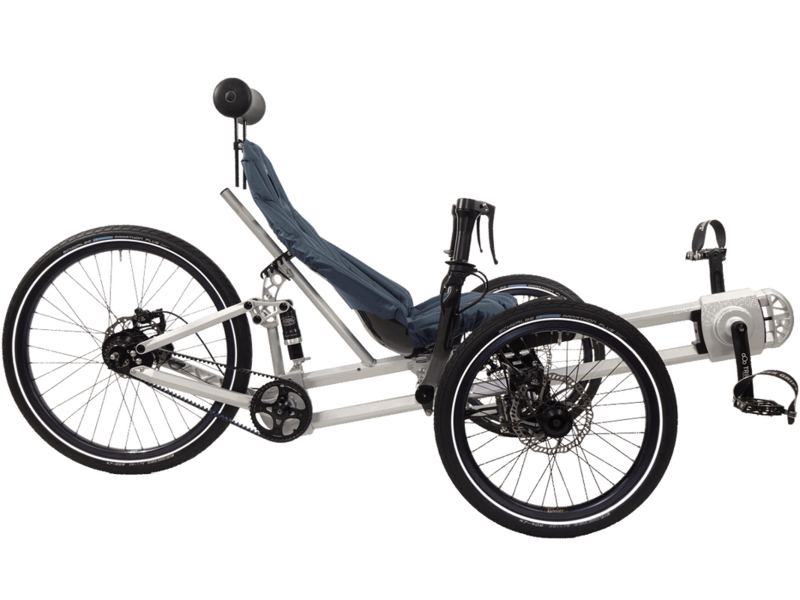 The Triot Sport is a fun, sporty trike. 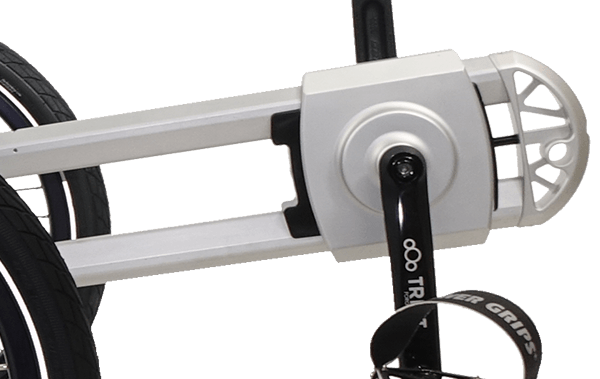 Nimble and lightweight but without sacrificing the key features that make a Triot so great. 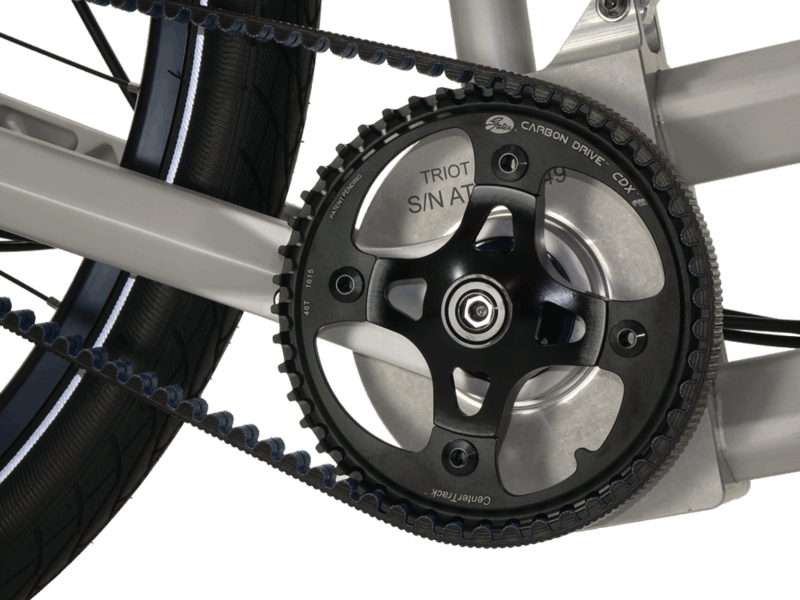 11-Speed, 11-46T cassette. Huge gear range for climbing and high speeds. Our frames are forged and hardened, assembled in our own factory in Utah. 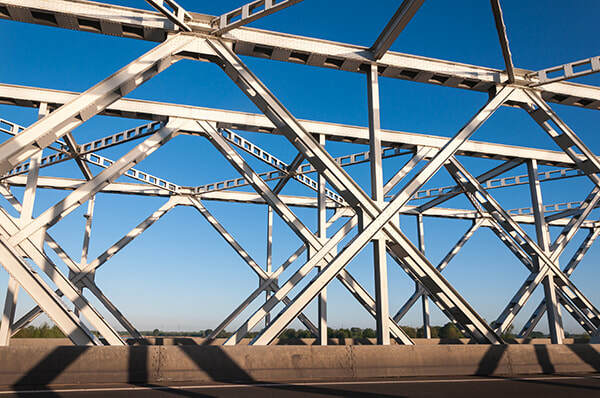 Lightweight and still able support tremendous loads, a truss is a common and proven design. 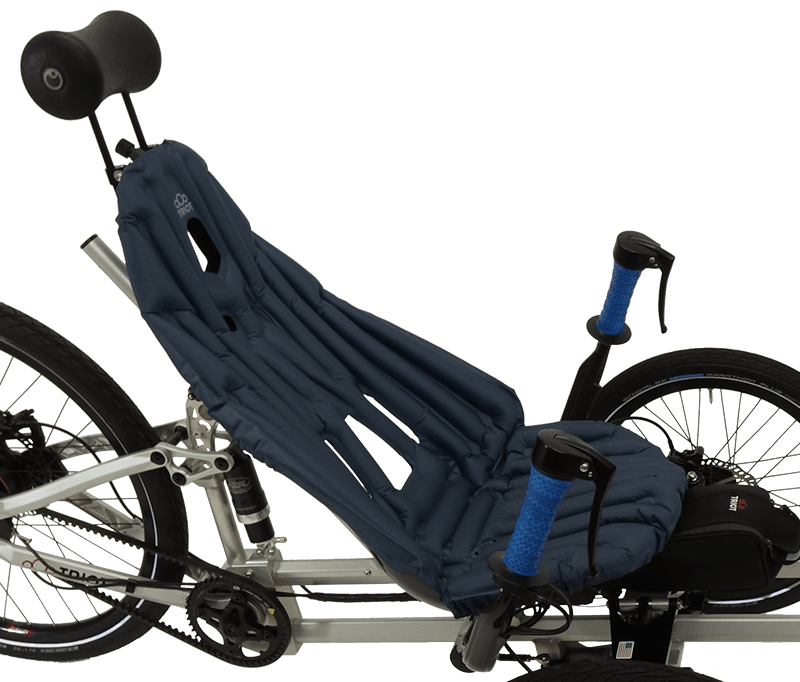 Utilizing the same principles, a Triot frame is extremely strong while providing the flexibility desired in a trike frame. Each wheel moves independently. 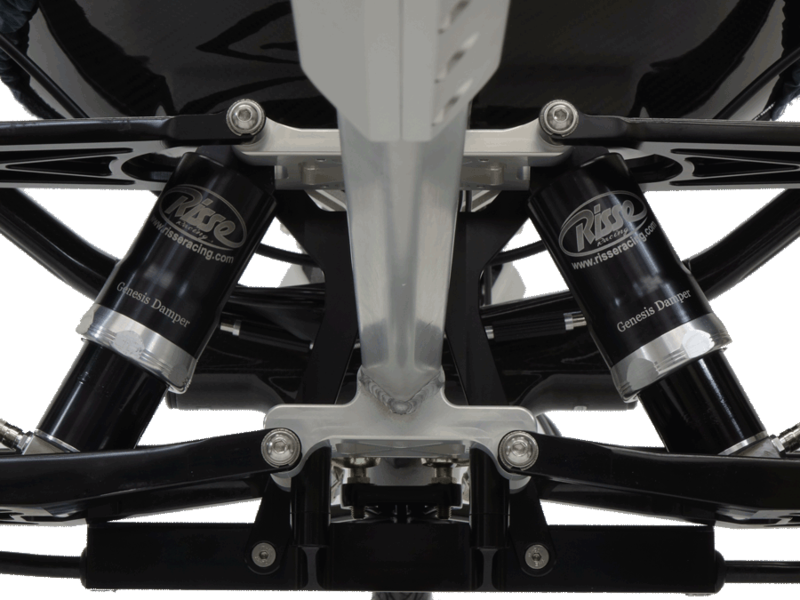 This proven automotive suspension design allows each wheel up to 4" of travel. The stabilizing bar keeps everything straight and tight. 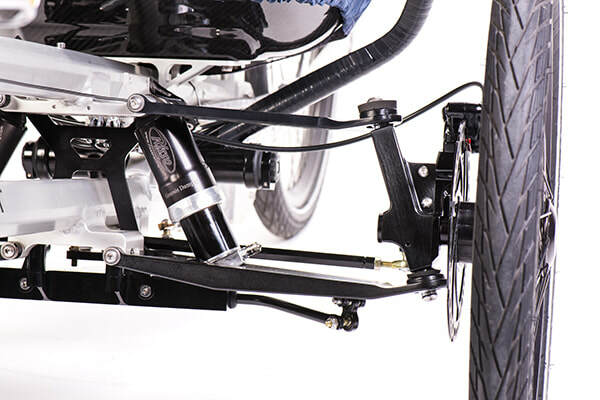 Independently adjustable air shocks give each rider the ability to set your perfect suspension feel. Pump them up for a sporty, tight ride or let out some air for a soft and plush ride. Very easy to use. Just push forward and pull back on the handlebars to steer. You don't have to push or pull sideways. No more hitting your legs when you turn. Lightweight and very strong. Our carbon fiber handlebars feel great, look great, and provide a very responsive and rigid feel to your steering. 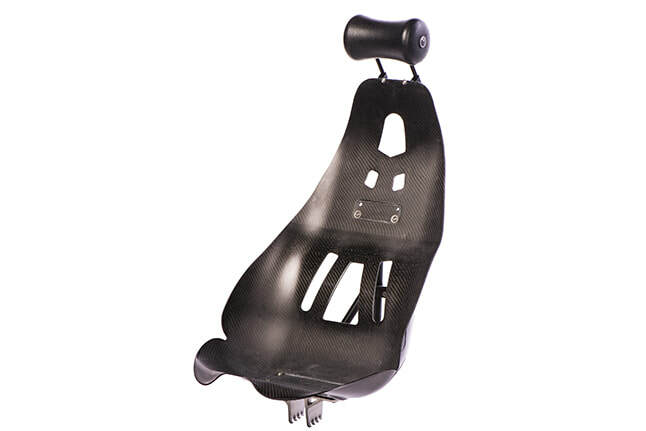 Custom-made carbon fiber seat shell is ergonomically designed for comfort and support. With just the right amount of flex and rigidity, this seat may be the most popular aspect of a Triot. The adjustable air cushion takes out the micro-vibrations you feel on mesh or hard seats. You get to control how much firmness or softness you want. Hydraulic disc brakes on all three wheels with large 180mm rotors. Front brakes are balanced and pull simultaneously for optimum braking and no brake steer. 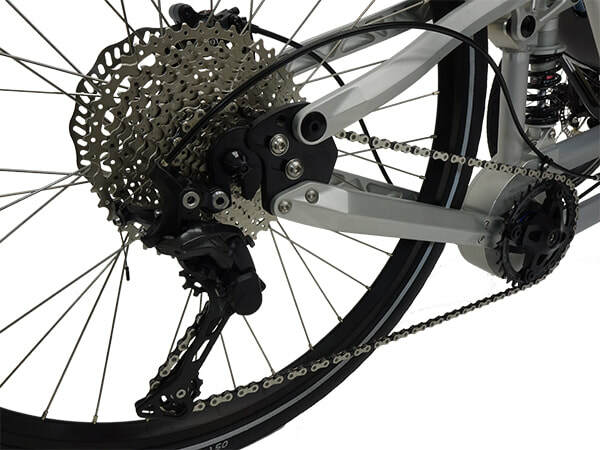 Rear brake is a fully functional hydraulic disc brake. 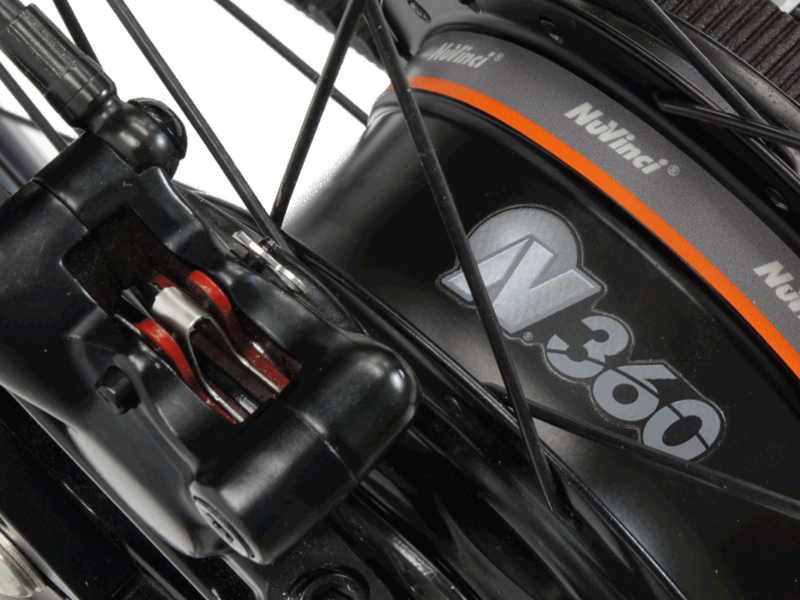 Premium trike with your choice of Nuvinci N360 or Rohloff Speedhub. Carbon belt, custom grips, full-suspension, hydraulic disc brakes. 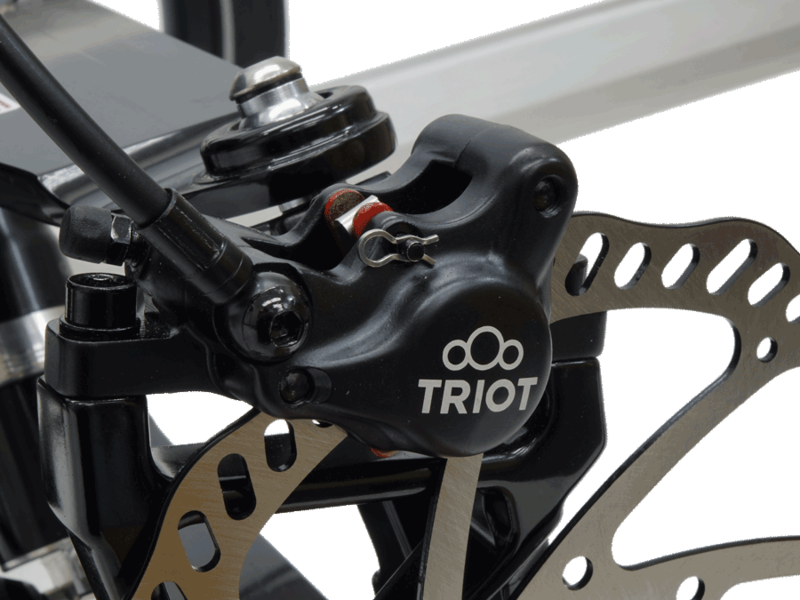 The Triot Diamond is a step up from the Sport. 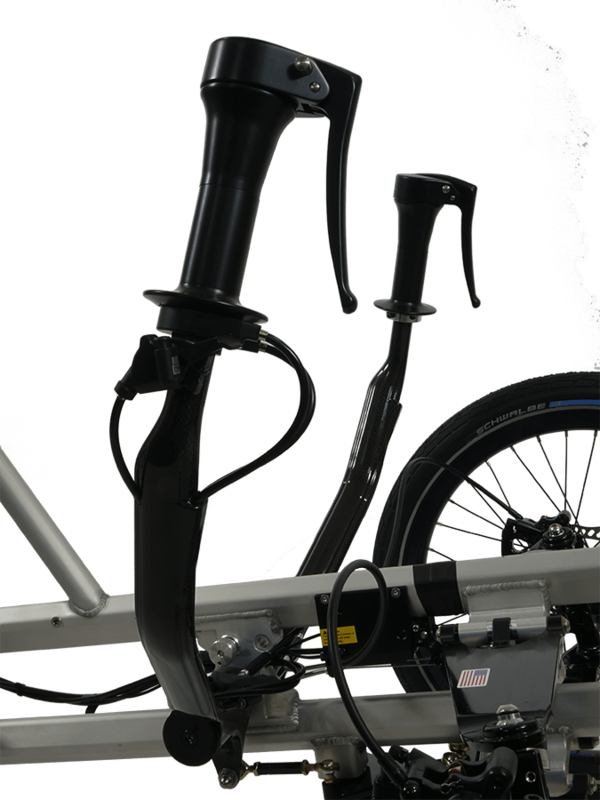 You get upgraded grips, rims, tires, drivetrain, and more. Browse the options and features below. Continuously variable transmission. Easy twist grip shifter for smooth control. Premium internally geared rear hub with 14 evenly spaced gears. 526% gear range for excellent climbing and speed. Gates Carbon Belt drive for extreme wear and weather resistance. No lubrication required. Very quiet. Hydraulic disc brakes on all three wheels with large 180mm rotors. Front brakes are balanced and pull simultaneously for optimum braking and no brake steer. 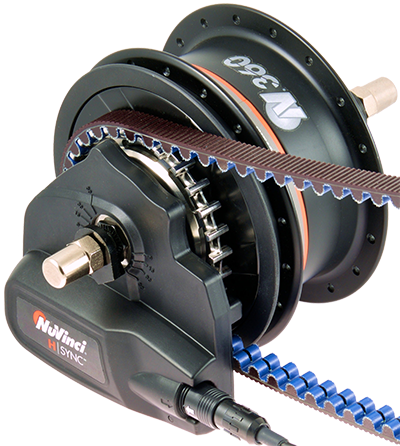 Rear brake is a fully functional hydraulic disc brake. Also, all brakes can function as parking brakes. 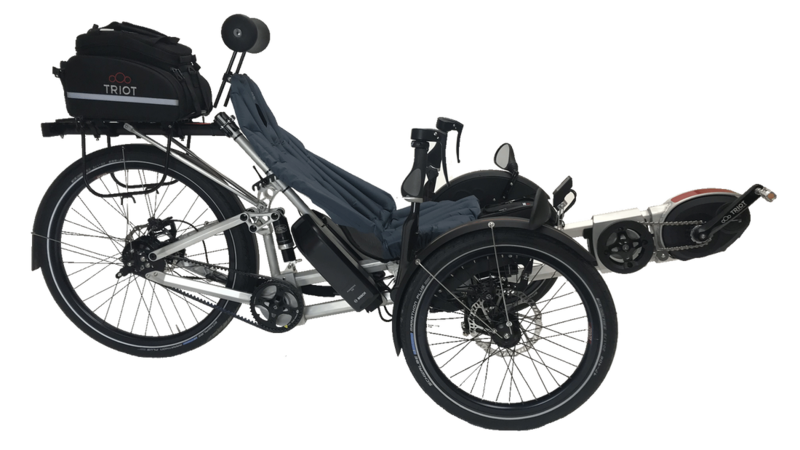 Triot Diamond trike with Bosch eDrive assist. 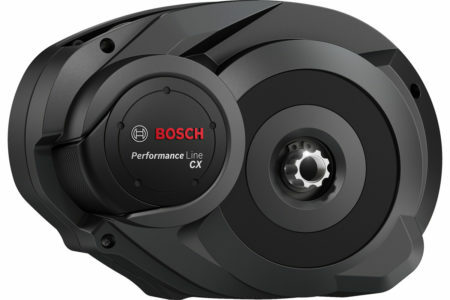 Your choice of Bosch CX or Bosch Speed motor. 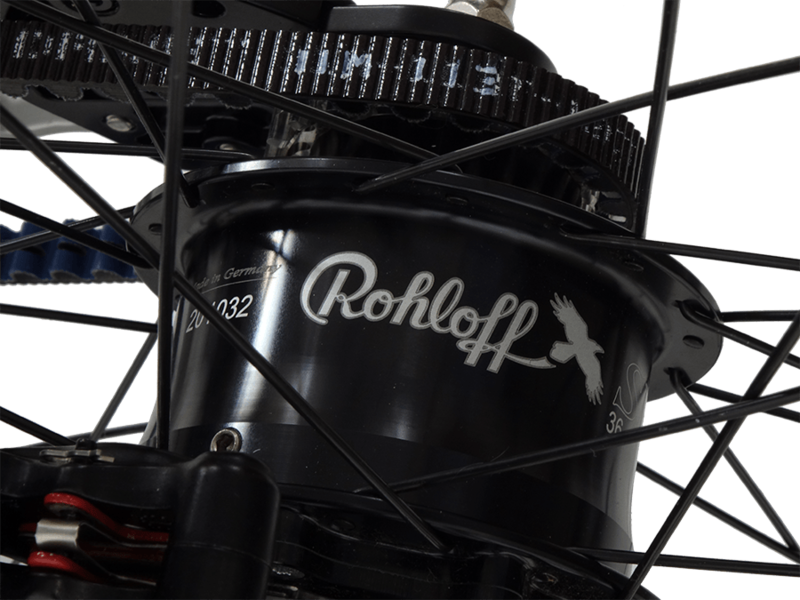 Your choice of Nuvinci Automatic or Rohloff E-14. The perfect blend of comfort, performance, and safety. You can configure your Triot Bosch to perfectly meet your needs. Powerful 75Nm of torque with a top assist speed of 20 mph. This motor has a very sporty feel and is great for all-around riding and excels at climbing. Fast 28 mph top assist speed with 63Nm of torque. This motor is sporty and is great for higher speeds and flatter terrain. 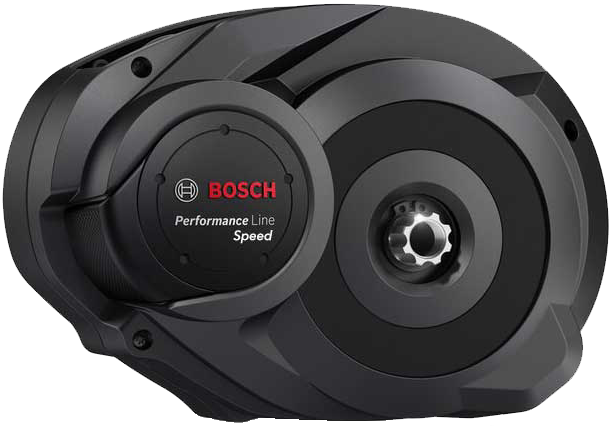 The automatic transmission from Nuvinci (Enviolo) syncs seamlessly with your Bosch system to provide the smoothest and easiest ride of your life. No more shifting. It's just like an automatic in your car. 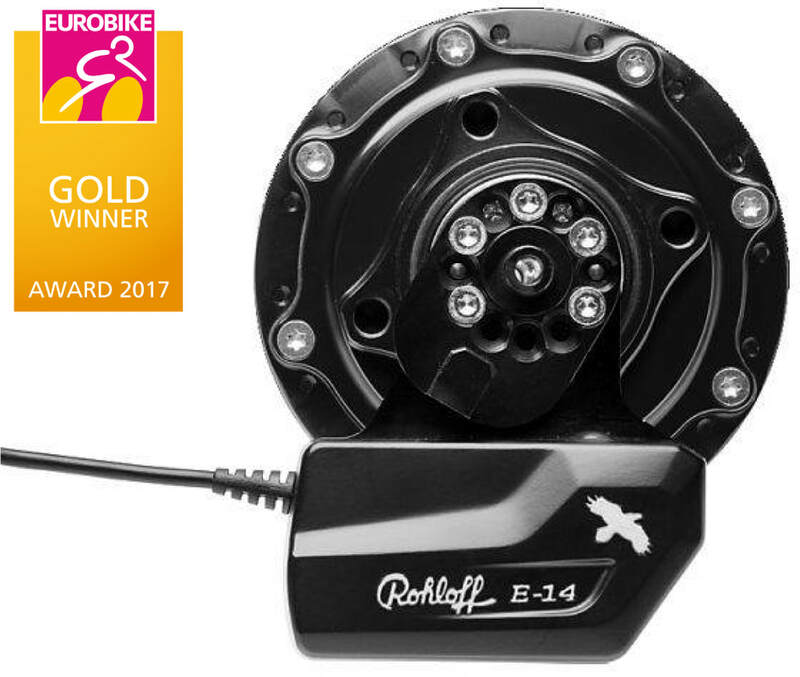 The Rohloff E-14 is an award-winning design that works seamlessly with the Bosch system. At the push of a button the motor and hub instantaneously work together for an easy and perfect gear shift. 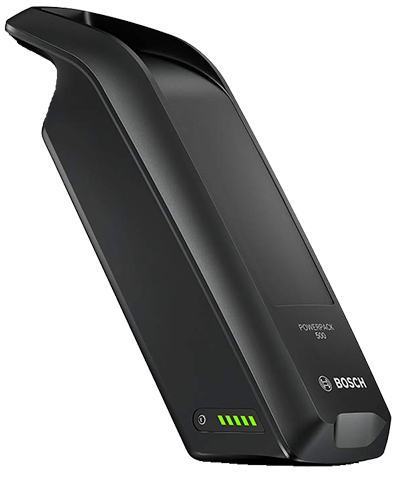 Single Bosch lithium ion 500Wh battery pack. UL Certified. 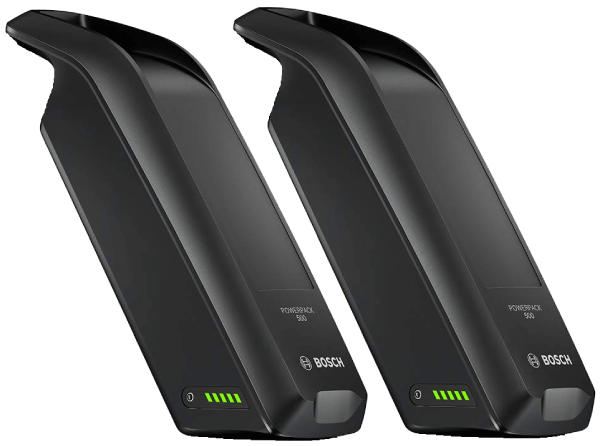 Two Powerpack 500 lithium ion batteries for a total of 1000Wh of available power. The batteries work together as a single battery but can also be used separately. 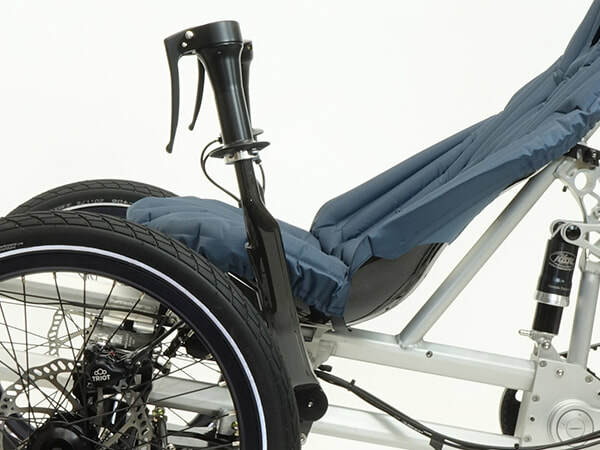 More options are available when you "Build & Price" your trike by clicking the button below.